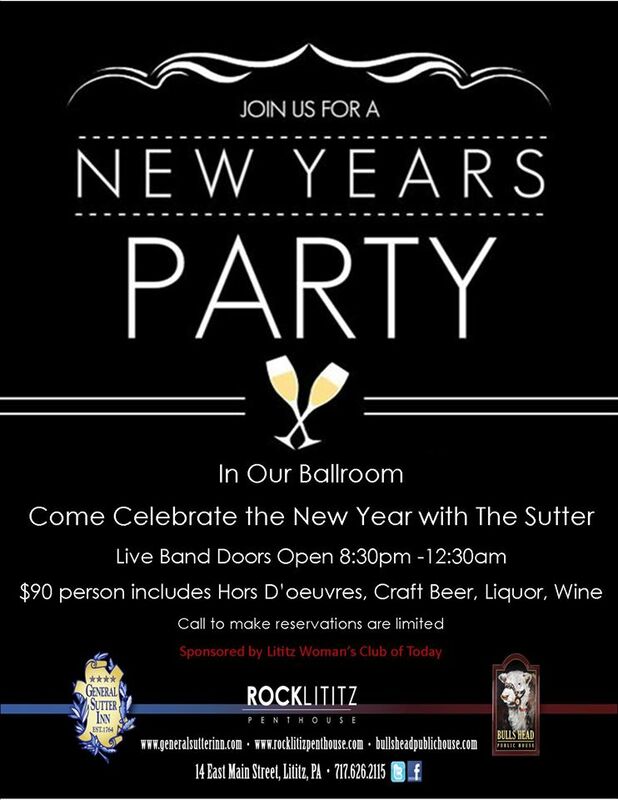 Memory Laps(e) will be ringing in 2015 at the General Sutter Inn, Lititz PA, with our usual brand of psychedelic party music. We have added some extra dance tunes into the mix. Proceeds from the ticket sales benefit a number of causes in the Lititz area through the Lititz Women of Today. Not only will you have a great time, you will also make a different in our local community. A win/win. Tickets are going fast so follow the link for more information about how you can join in the fun this Wednesday night (Dec 31). Music starts at 8:30 p.m.